Some girls can never have enough jewels, but I’m that way with cinnamon. I could never tire of this spice, and even though I’ve been drizzling honey and cinnamon on my toast and enjoying it in baked goods since I was a little girl, I am still finding new and exciting ways to use it. I am certainly not unique in my affection for it either. Since ancient times, cinnamon has been regarded as a gift fit for monarchs and there are even records of it being offered as a gift to Olympian deities. To show how great his remorse was, the Roman emperor Nero burned a year’s supply of cinnamon at his wife’s funeral; that’s how much of a big deal cinnamon was to people. When cinnamon first became available to European society through trade, it was so costly that it only would have been used for baking on very VERY special occasions. The apple pie spice you take for granted in your pantry was once worth its weight in gold! Many would have only been able to imagine what cinnamon tastes like. I am fortunate that I live in an age where I can enjoy the loveliness of cinnamon as often as I please, and I promise you’ll see many recipes on my blog celebrating this excellent spice. Today I made a simple snack that was nice and satisfying, and I’m very happy to report, cost less than a dollar. Plantains are extremely affordable and delicious in both sweet and savory dishes. They become sweeter the blacker they get, and are worth trying if you haven’t had one before. They might look like a banana, but they have a totally different taste and are meant to be cooked. My go-to way to have them is usually just sliced lengthwise and sauteed in butter on a low temperature until they are all soft and gooey. 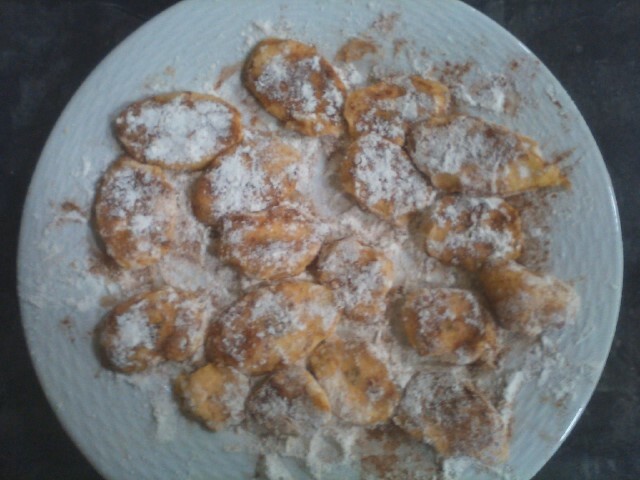 Then pair them with vanilla ice cream, and you’re in for a treat! But I was feeling cinnamon inspired today, so thought I’d do something different. I hope you like them as much as I did! 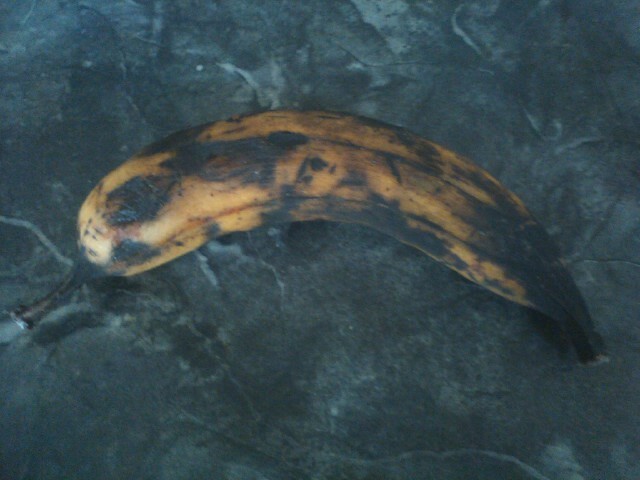 It’s not a rotten banana, it’s a sweet plantain! 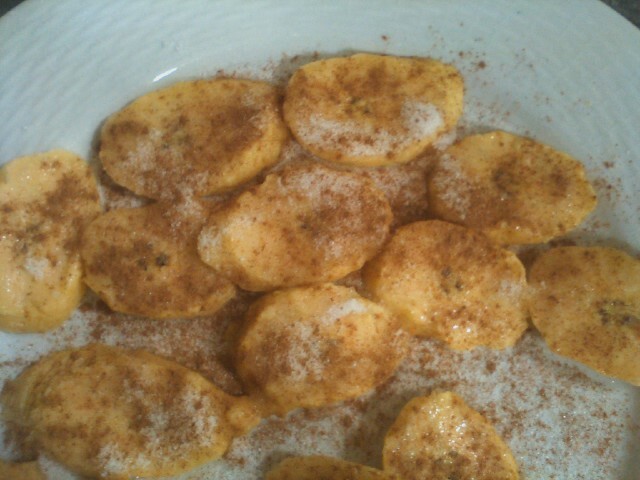 Just peel and slice a plantain horizontally into thin even slices, and sprinkle with some cinnamon and sugar. Dredge them in flour if you want them a little crispy, and fry in a tablespoon of butter on medium low heat until they are caramelized to your liking, flipping once. I recommend a longer cooking time for these, but it shouldn’t take over 15 minutes before you too have a hot tasty cinnamon sugar snack. Enjoy! I’ve never actually eaten a plantain before. You make them sound so delicious, I want to run out and buy one right now! I have an equal obsession with cinnamon. It was my favourite spice for a very long time… but now I’ve become a bit of a spice obsessive and I couldn’t possibly choose one over another (haha – my husband had to build me a new set of shelves to house the collection). I never knew the rich history of cinnamon though. It’s quite fascinating, as most of us underestimate the ‘value’ of spices these days. I have read quite a bit about the spice trade several centuries ago… when people knew so much less about the world, but in some ways, so much more about life (if that makes sense!). Thanks for putting so much history into this post. It was great to read. I want to find me some plantains!! Plantains are really neat, I’m so glad I tried them. I am always trying new fruits or vegetables, and some of them I’m not so keen on, but some I like so much I end up eating all the time. I can’t say I had such a positive experience with jicama, still looking for a way to use up the last of it in my fridge.. Chayote is next on my “to try” list:) I’m like you on being obsessed with so many spices. They are all my favourites 😛 I bet I could make my entire blog devoted to cardamom! I also love spices like ginger and allspice that are versatile and I can use them for both sweet and savoury things.And I just adore the history of spices, people have had such a fascinating relationship with herbs! Possibly my favourite activity is lying on the grass beside the garden reading about herbs. Always a lovely time! And I really agree with your last sentiment there. We have all the information we could ever want at our fingertips now, but in our hustle and bustle miss all the information that simple silence could offer us as well. Thanks for your comment, dear Laura! I have never eaten a plantain before but always wondered about them when I saw them in the grocery store. I love cinnamon and ice cream, so it sounds like a wonderful way to try out this new food. Enjoyed reading the history of my favorite spice. Thanks for such a nice comment!! You should definitely try it sometime. They’re delicious and so simple to prepare, and you can experiment to see how you like them. Just make sure it has some black spots so it’s extra sweet. And I’m so glad it’s your favourite spice and you liked the history part of it. It’s certainly an interesting one! 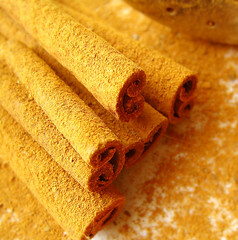 I’ve even read that for a long time the origin of cinnamon was kept a secret because Arab merchants didn’t want Europeans to find it and sell it for themselves so they created elaborate myths about where it came from.. like that giant birds made their nest from cinnamon sticks collected from far away lands, and they had to lure them with meat to get to it! Pretty crazy stuff! Look yummy. Don’t think I’ve ever seen plantains here in Rome, though I did used to cook them when I lived in Nottingham and in London near Brixton, as they’re both places in England with big African-Caribbean populations. Fascinating fact about Nero too. Crazy guy that he was. Talking of cinnamon ice cream – cinnamon-honey ice cream is yummy. And a few days ago we went to a restaurant here in Rome where my mum had a sphere of white chocolate filled with cinnamon and ginger gelato – yummy too. 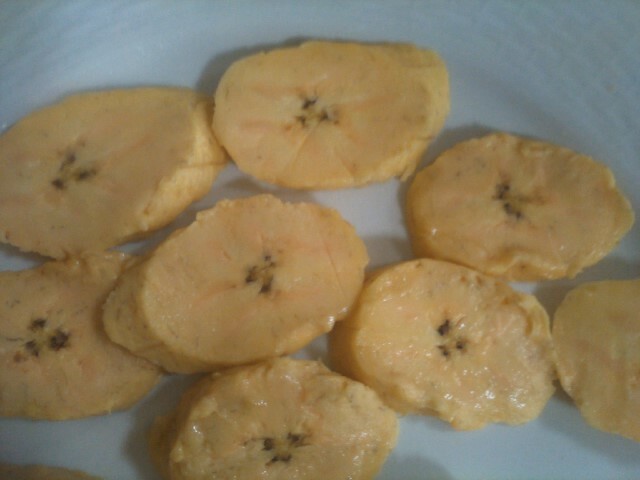 I love plantain. i have eaten them many times before on several trips to West Africa. They make them really tasty, and serve them with fried chicken or other accompaniments. 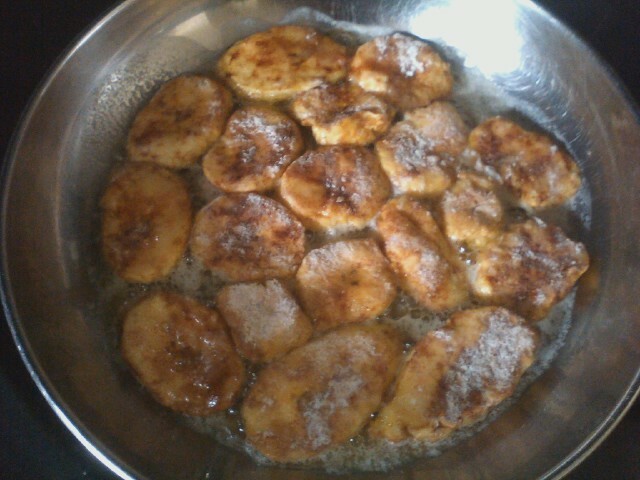 The only problem is I have never tried to fry or cook them myself, and anyway it’s not very easy to get plantains. I think this is just an excuse, I’d much rather eat them than try to learn how to cook them. Maybe one of these fine days I should give it a go!!! Thanks for sharing. Have a wonderful week!!! This recipe is in my to do list! My wife just mentioned how much she loves grilled plantains and she loves cinnamon so this sounds great. Aw, I am flattered! I really hope you like it! I also heard of grilling plantains on the barbeque and really want to try that method too. There are many delicious ways to make it 🙂 Thank you so much for visiting my blog, I am honoured!! 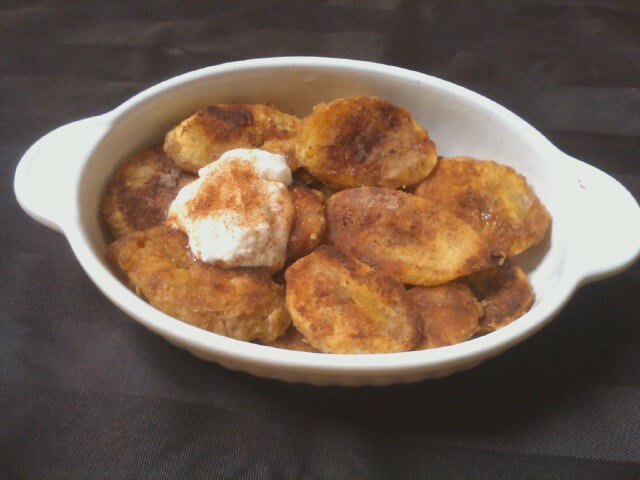 I love cinnamon and plantains – this receipe sounds delicious! 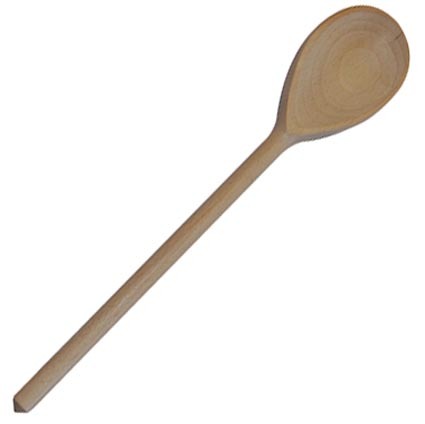 I have used them with an Indonesian dish. I have only cooked plantains a few times. Cant wait to try this recipe!